Kirkman’s hypoallergenic iron capsules each contain 5 mg of elemental iron. This product is part of our Bio-Max Series that uses forms of nutrients that have clinically proven to be among the best absorbed and most highly bioavailable. Iron is found in multiple food sources including meat, eggs, vegetables, grains, fruits, as well as many herbs and spices. Many physicians recommend an iron containing dietary supplement because it is thought that only about 10% of the iron we ingest from food is actually absorbed. 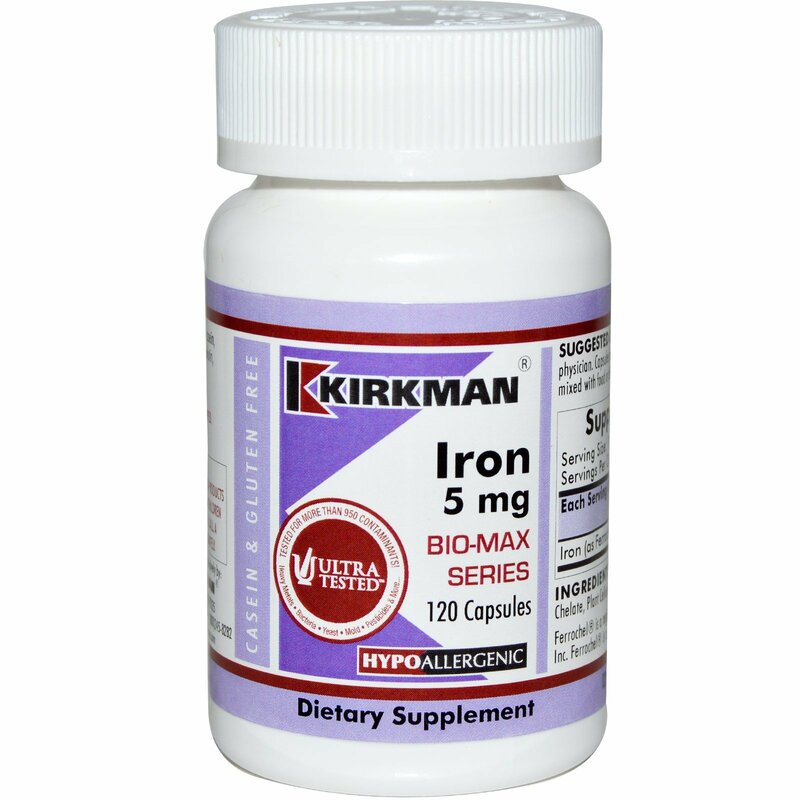 Iron in dietary supplements can also be poorly absorbed depending on the source of the iron. It is generally accepted that ferrous salts are absorbed somewhat better than ferric compounds. 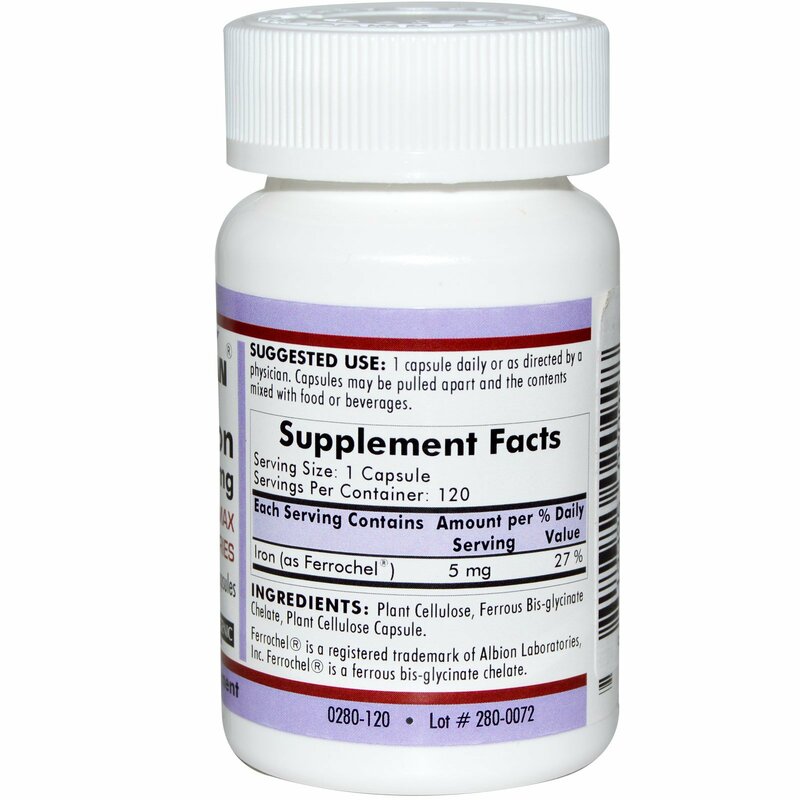 1 capsule daily or as directed by a physician. Capsules may be pulled apart and the contents mixed with food or beverages. Free of: Sugar, starch, soy, wheat, casein, gluten, milk, egg, preservatives, yeast, gelatin, flavorings or colorings.